Here are four new pieces freshly painted. 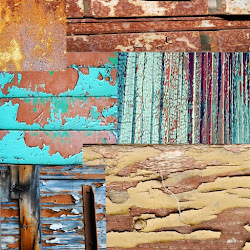 My favorite is the rustic funky looking little bird in the upper corner. Next is a pendant, a bracelet focal, and a button. These pieces were created from rich dark brown Yixing clay, coated in Swellegant Brass Metal Coating, and then Patina'd with Vintaj Verdigris, Jade, and Moss. Each pieces was then sanded and hand-buffed. 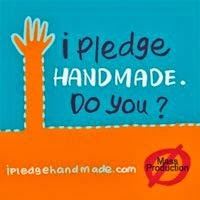 The bird is designed and handcrafted, not created from a stamp. 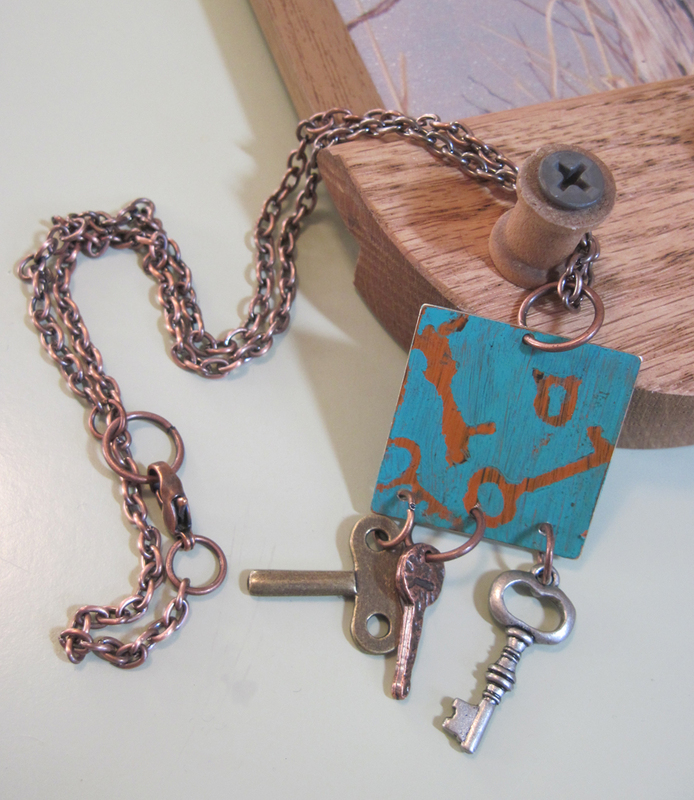 The pendant, bracelet focal and the button have been created using a stamping process. I started designing the buttons because I like to make the ladder bracelets and wanted to create a unique button. The button measures 1" in diameter. 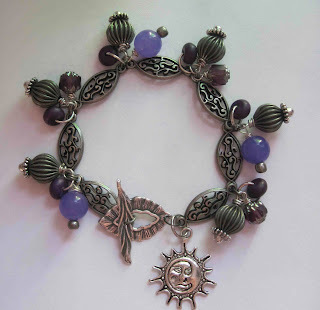 Below is an example of a bracelet using a piece similar to the bracelet focal. 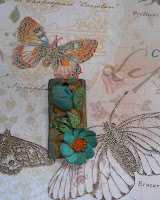 I thought I would show you a layered effect using stickers and four different colors. I started this piece with blue, placed the round stickers, then painted pink, placed more stickers, painted lavender, placed more stickers, and then painted the green. It is very important that each layer dries completely before you place additional stickers and Ink. When you have placed your final layer of Ink and it has dried, peal all the stickers off and touch up as needed. With these earrings, I like the rustic worn look so I sanded the pieces slightly and then buffed them. There are so many different designs you can use with this technique. 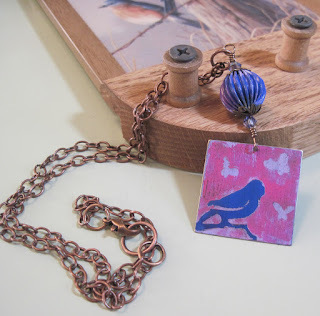 Be sure to check out the detailed instructions on the previous blog about etching with Patina Permanent Inks. 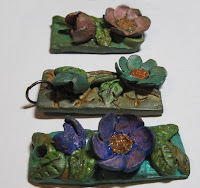 I have been busy creating more greenware. The pieces look like they are a grayish in color, but they are actually a gray/blue and will fire to a metalic, almost teal, blue color. If you look at the top there are four bracelet links and to the right there is a bracelet focal - My intent is for the links and the bracelet focal to be used in separate bracelets, but once they are fired and painted - who knows. 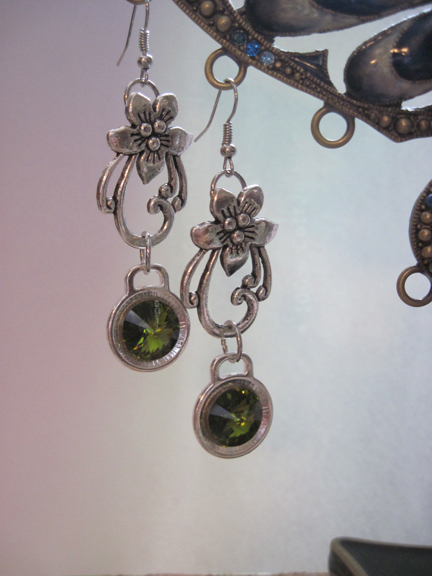 Next, there are 5 pairs of earrings, 6 leaf charms and 3 pendants. 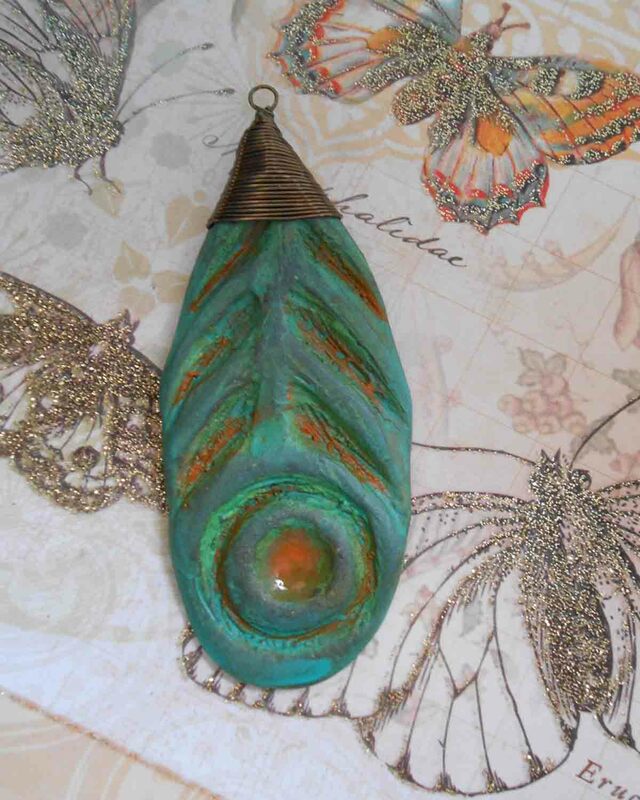 I am not certain about the continuous line-form pendant, but I will take another look at it once it is fired. 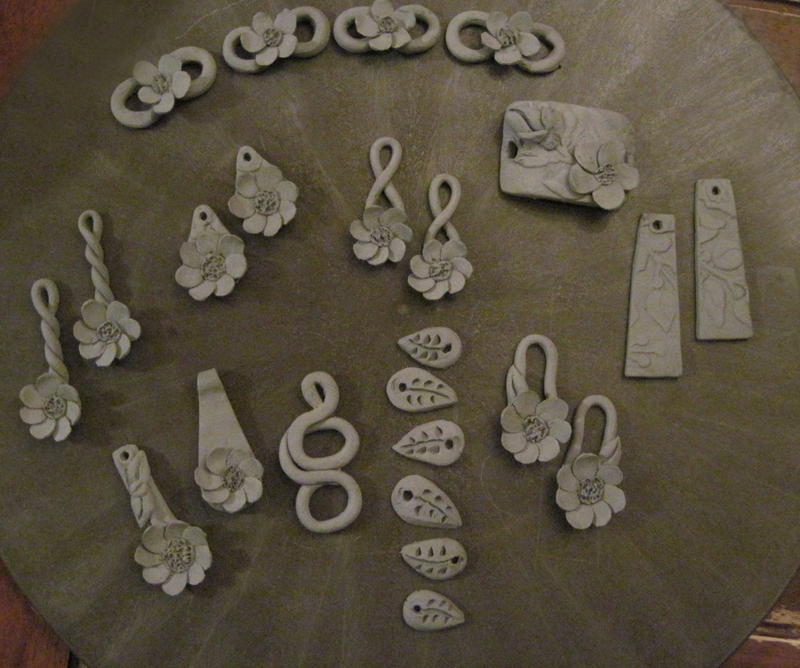 The pieces still need some fine-tuning/cleaning, but for the most part they are ready to be fired. 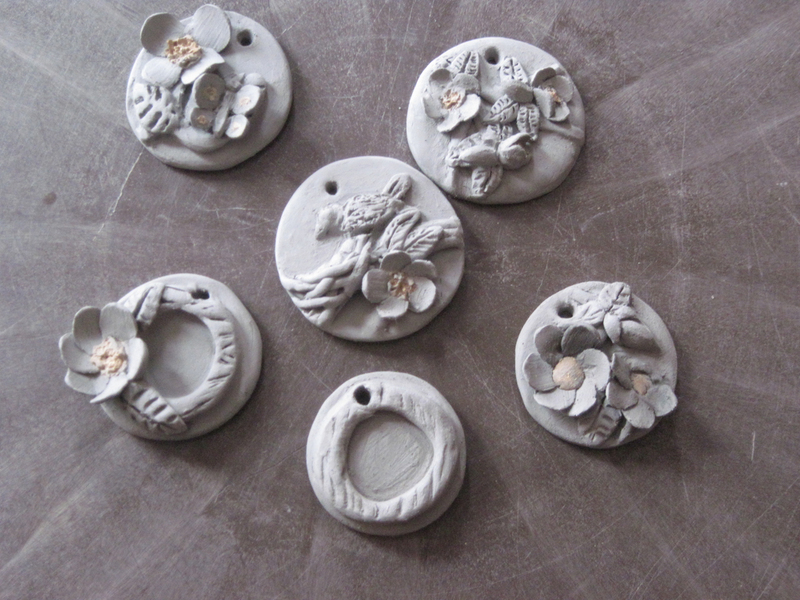 They will go in the same firing as the circle pendants I showed you on the 7th. 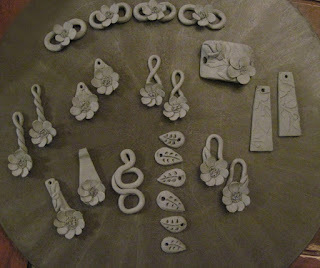 I am hoping to create another tray of pieces, maybe two and then plan for a kiln firing about two weeks from today. It takes about 7 hours to fire from start to finish and then about another 7 to completely cool down so I can handle the pieces. Once I unload the kiln and get my workbench set up, it usually takes me a day or two to decide on which piece to use, what needs to be sanded etc., which color the piece wants to be colored, sand again, paint another layer, ........ and then glaze and seal it. I am pretty excited about the earrings. I made them lightweight and tried to keep them under 1". These pieces are examples of what I call permanent ink etching. Below I will give step-by-step instructions. I think there is a variety of different way you could achieve this effect. I will share with you the few easy steps I took. I chose the 29 mm Vintaj copper blanks as my canvas. Step 1: Cut a section of the clear sticky shelf contact paper large enough to cover the DecoEtch plate - leave the sheet intact, do not separate it from its backing. Step 2: Place the intact sticky shelf contact paper sheet over the DecoEtch plate, shiny side down, and run it through the Sizzix machine as per paper directions. Step 3: Select your Vintaj Permanent Inks and apply two coats of your base color to the Vintaj copper blank. This works best if you apply one color instead of marbling or variegating it. 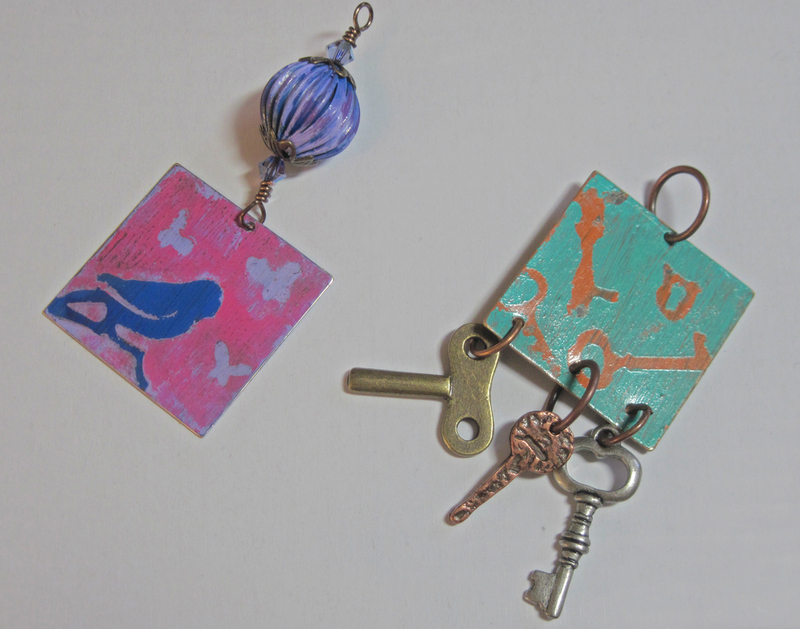 Example - if you want your "key" or "bird", etc. to be blue, put two coats of blue down first. Let this dry. Step 4: This step takes a little patience. After running the contact paper through the Sizzix, separate the contact paper from its backing, put the sticky side of the sheet of your design down on top of your painted copper blank. The contact paper does come up easily so you can re-arrange the layout as needed. When you have arranged the pieces the way you want it to look, press the pieces firmly to make sure they are attached to the painted metal blank and relatively sealed. **Suggestion: I think you could also use stickers for this process if you do not have a Sizzix Machine. Step 5: Next, select the second color of the Vintaj Permanent Ink and cover the entire copper blank. Let this dry. **If you would like a third color skip step 6 and go on to step 7. Step 6: Remove the stickers. If a little sticky residue is left, wash the piece with Dawn soap and gently dry. Step 7: If you would like a third color added to your piece, do not remove the stickers, but place additional stickers over the second coat of Vintaj Permanent Ink, being careful not to overlap you first set of stickers. Apply the your third color selection and let this dry. Step 8: When your third color is dry SEE STEP 6. 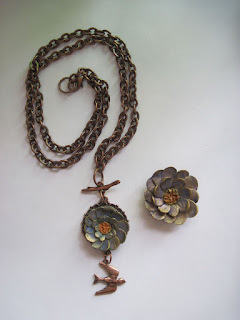 New flower pendants - Hurray! 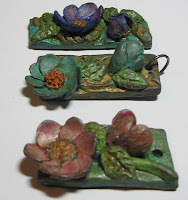 - I have been busy at work today and created these three lovely pendants. I tried to show different views of them in the first four pictures. The last picture shows what they looked like prior to the change. 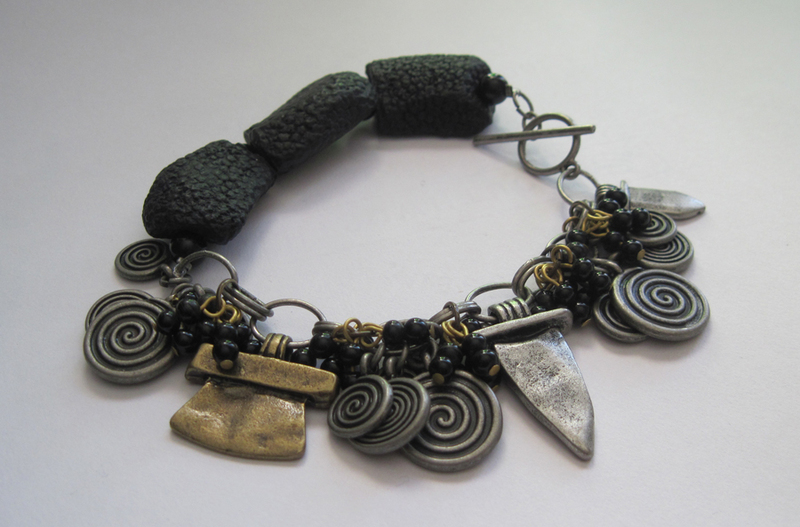 Each pendant measures approximately 2" in length and 1" in width. 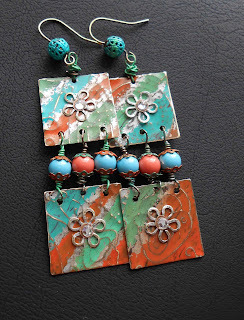 I love the colorful rustic look of these pendants. Each one has been individually coated with Swellegant and Vintaj inks and then brushed with a satin mixture. I will be designing more this weekend as it looks as though we are going to get some awful wintery mix of weather. 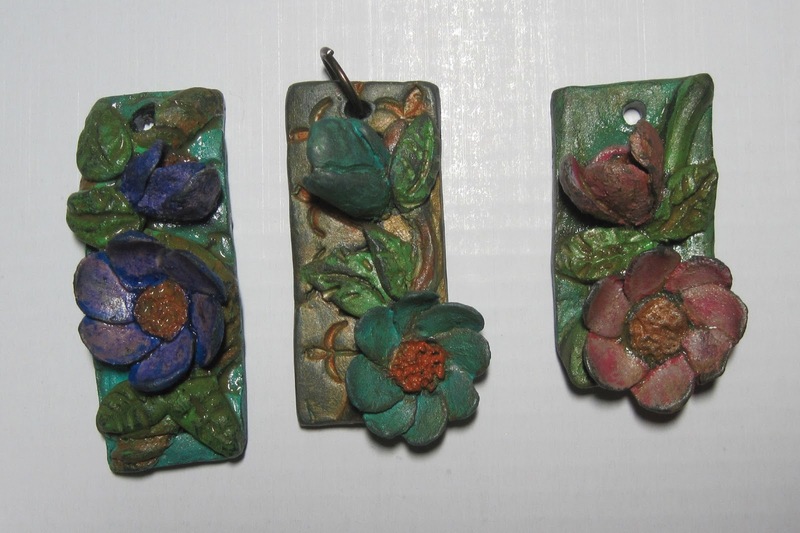 These three pendants are the same as the above, just in the raw stages. 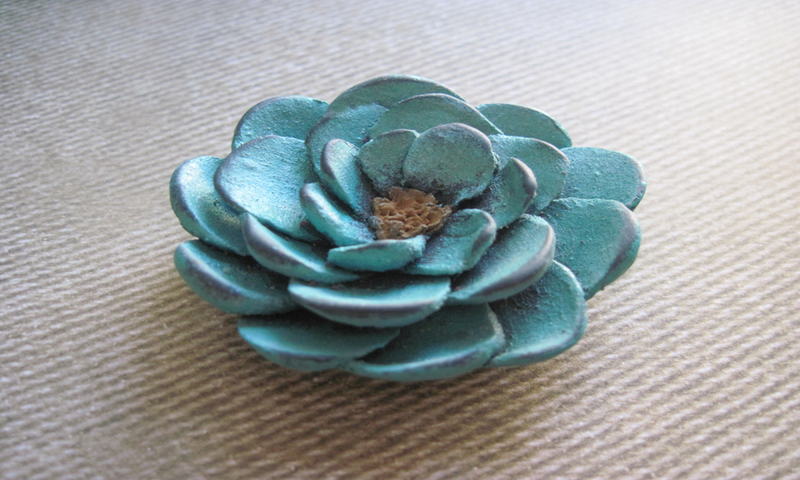 You can also see the rich blue color after they are fired. The round pendants in the previous post are unfired and look almost gray in color. Thanks for stopping by and have a great weekend. These will be posted for sale at purplefishclaybeads.etsy.com. 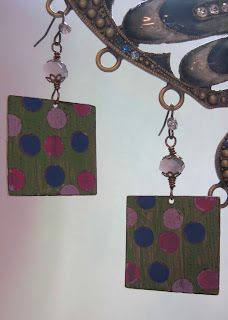 These are two pair of earrings I made from the Blue Moon Beads Blog stash - Lots of fun! Hurray for Blue Moon Beads! A few weeks ago I was fortunate enough to have a blog posting chosen as the winner on Blue Moon Beads Blog; with that they sent me a treasure trove of beads. 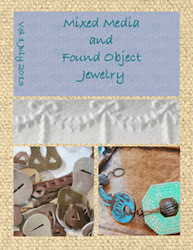 I have had so much fun with these beads and findings. 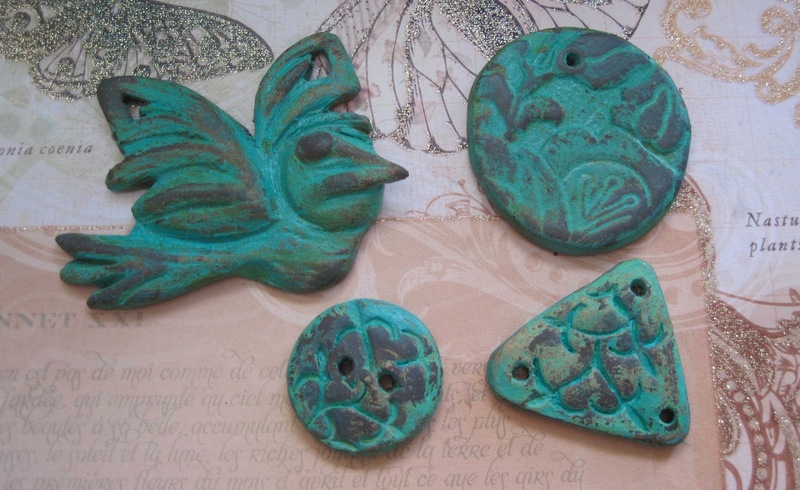 I created these four pieces, have some pieces in the process, and still have a quite a few beads and findings left. 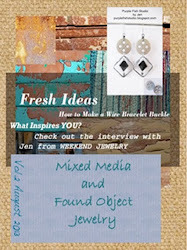 If you have not had a chance to check our their blog and some of the new beads they have out, I would suggest it. New Creations - Vintaj Permanent Ink and Swellegant - Looks Almost Iridescent. New supplies arrived today. I love when new supplies arrive; it means I get to play. Above are some pendants and a cabochon I worked on today. I started with a base of Swellegant Brass Coating and let it dry. I then broke open the package of Vintaj Antique Window Permanent Ink and started layering, letting the layers dry in between coats. I then sanded, added more - and finally added a dry brush coating of the Swellegant Brass coating. I find this method gives an iridescent look to the pieces. I then hand-buffed each piece and they are almost ready to list. I wasn't sure I was going to like the butterfly as the layers were not working how I wanted them to, but now that it is done, I think it is my favorite and next in line is the abstract floral/star pendant. 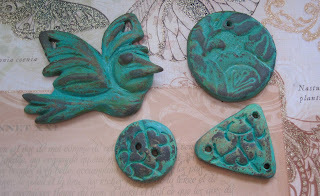 I think these pendants would look great on leather cord or even on a simple antiqued metal chain. I would maybe add a charm and a bead or two to the floral/star pendant - or not. 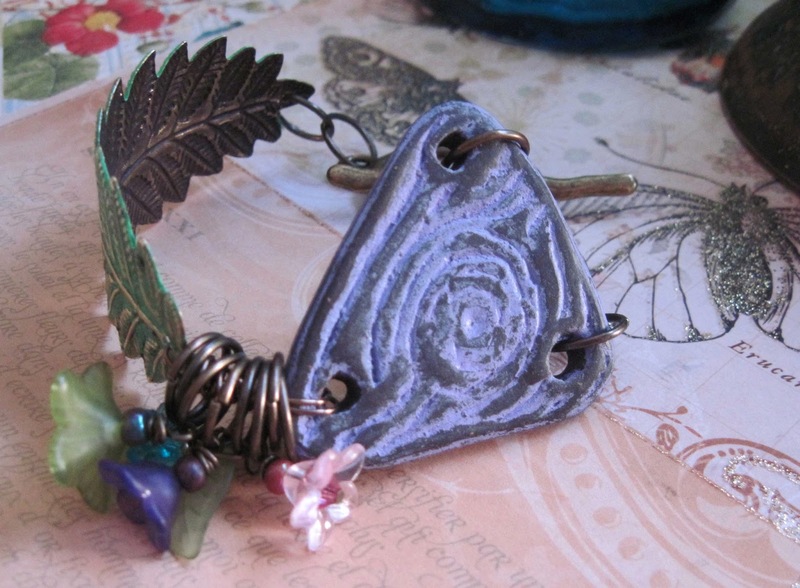 For the butterfly, I would maybe add some wire-wrapped earthy beads, or dyed quartz to it to form the chain. 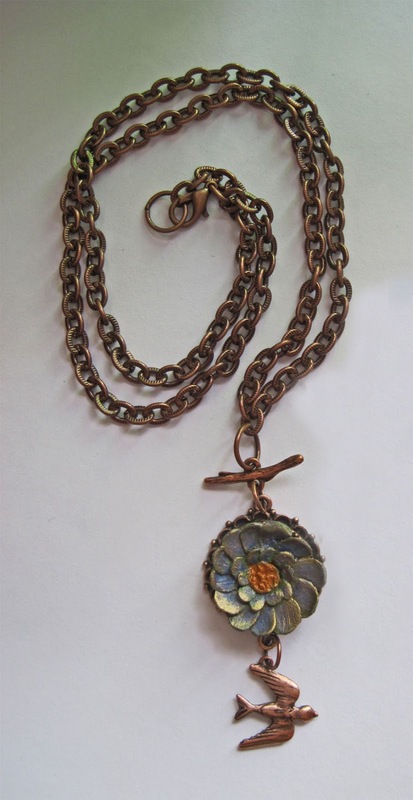 The floral cabochon would look great set in a bezel, with the bezel placed on top of an antiqued round filigree and using a simple chain, leather cord would also work. I am busy at work designing new pendants. 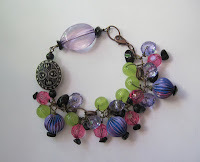 I have been quite inspired by February's challenge for Art Bead Scene Blog. 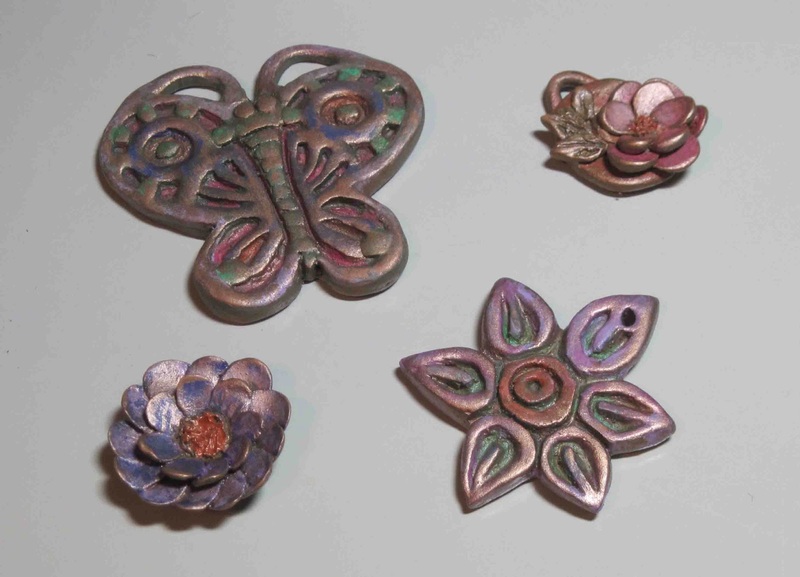 The pendants, after being fired, will measure approximately 1.25". They are rich in detail of flowers, leaves, and woodland foliage. 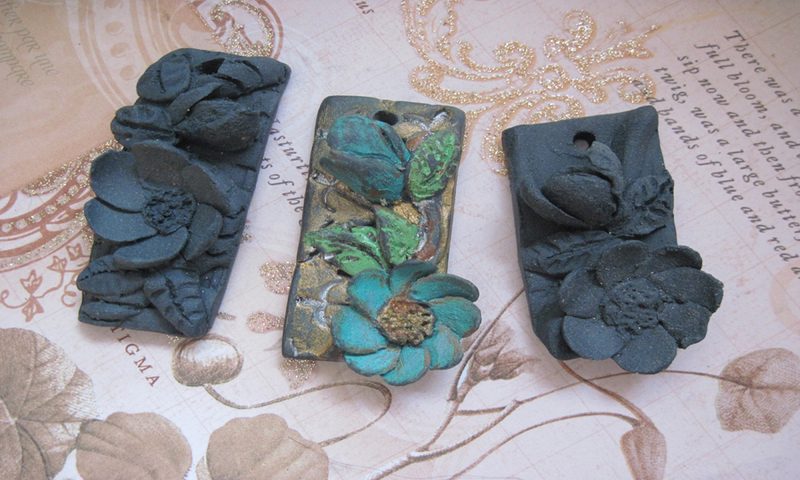 These pendants are created with blue Yixing clay and when fired will show a rich metallic dark blue color. My favorite is the center pendant with the little bird. Which one is your favorite? JUST OPENED - ON ETSY! Hurray! 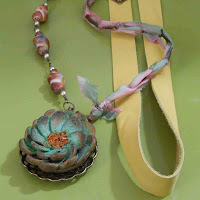 - I just opened my ceramic bead shop on Etsy! - please stop buy and see it. Purplefishclaybeads.etsy.com. 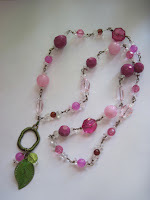 I have three beads and three necklaces posted for sale and will have more coming withing the next week or two. 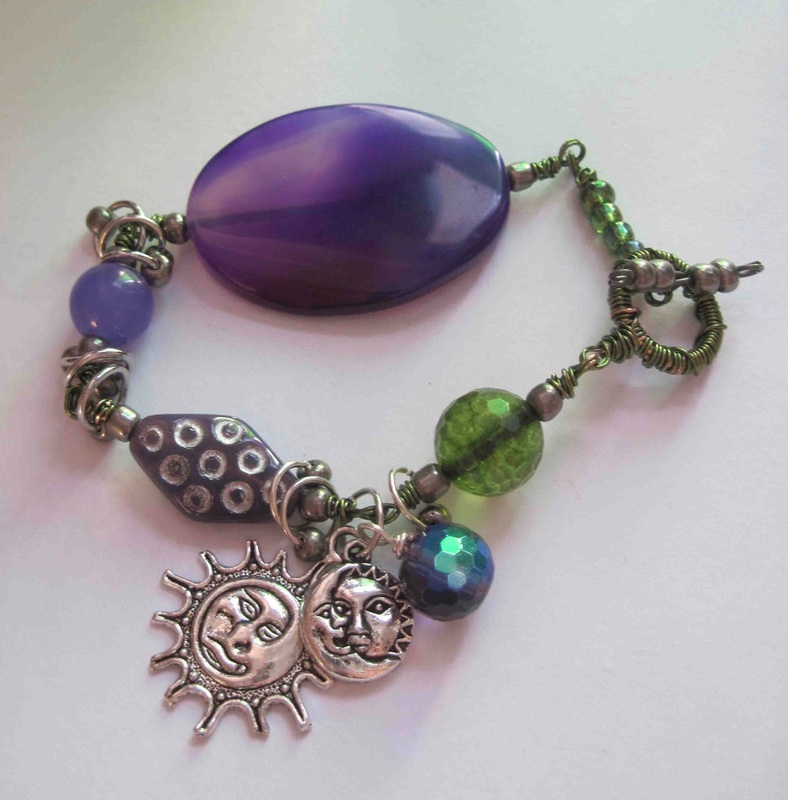 I will also be listing raw beads for sale, ones that can be painted and crafted by yourself. 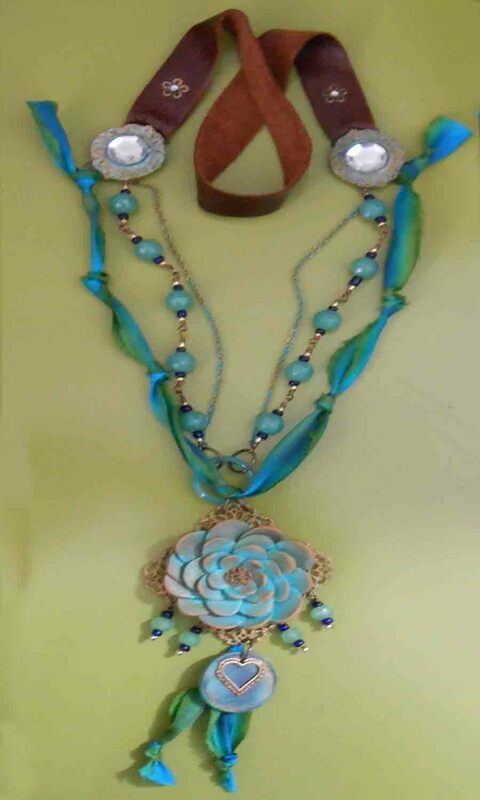 Only clay beads and jewelry will be listed on this site. 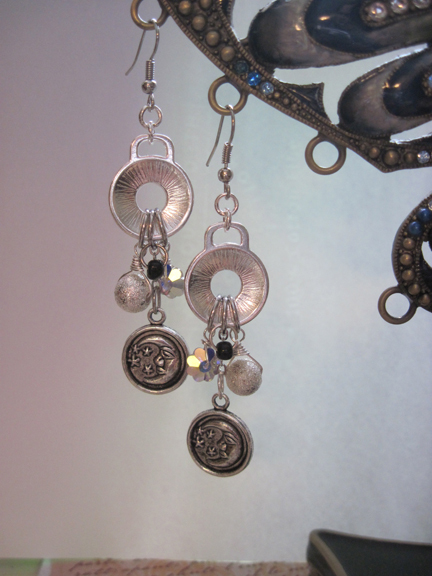 If you are interested in the filigree and rhinestone jewelry that I make it will still be on ursyllabs.etsy.com. Thank you for stopping by today! Have a great day! Gem Stone Competition - Which One Do I Choose? I have a really tough decision to make. 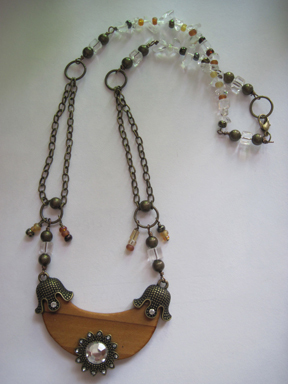 Above are two necklaces, both designed for the same competition, but only one can be submitted. The theme is Gem Stones. Rose Garden incorporates rose quartz, jade, lace, brass stampings, filigree, crystal, glass and resin. Bohemian Garden incorporates red dyed Howlite, coconut shell heishi, freshwater pearls, dyed coral, crystal, glass, filigree, and leather. Submission is due on Tuesday. Any input would be appreciated - Thank you. New Submission for Vintaj's "Northern Lights"
A new submission! 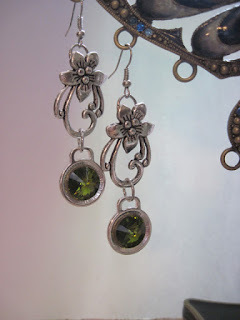 - these earrings were submitted to Vintaj's "Northern Lights" February competition. I used Vintaj squares, etching templates, Vintaj patinas, and rivits. The blog site states voting begins on Monday the 4th.